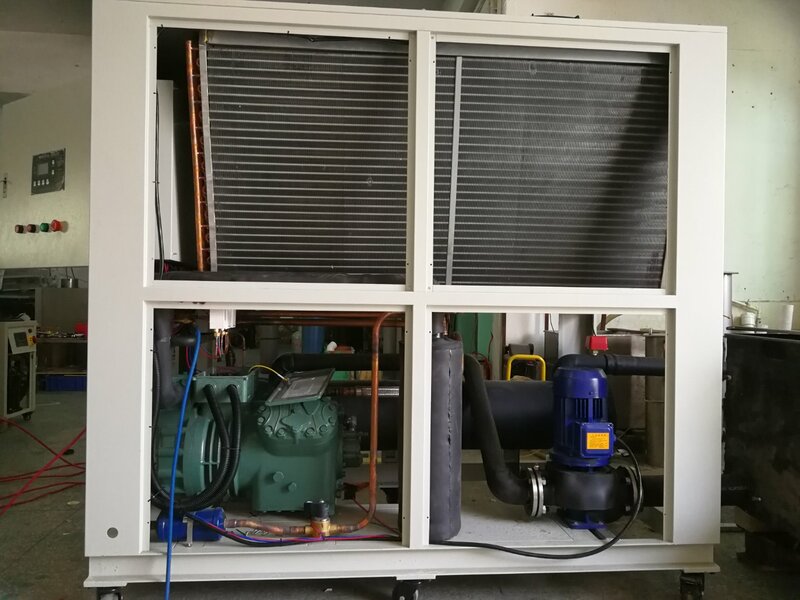 Chiller cooling capacity 11kw. 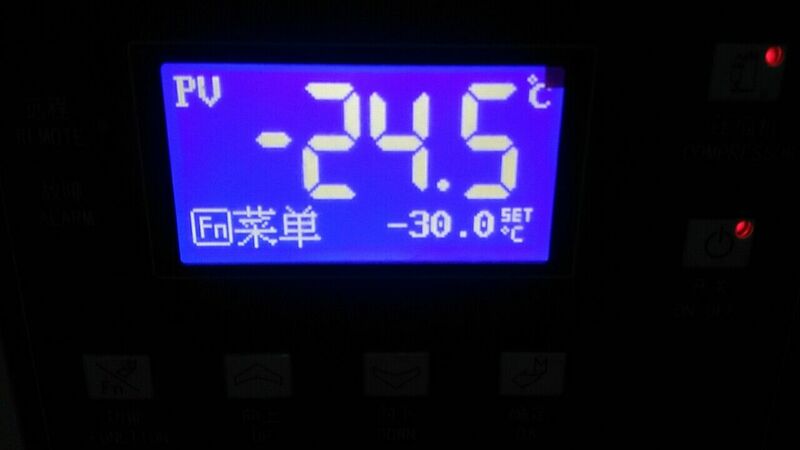 Now before delivery we made the testing to show our clients the performance of this 11kw chiller. 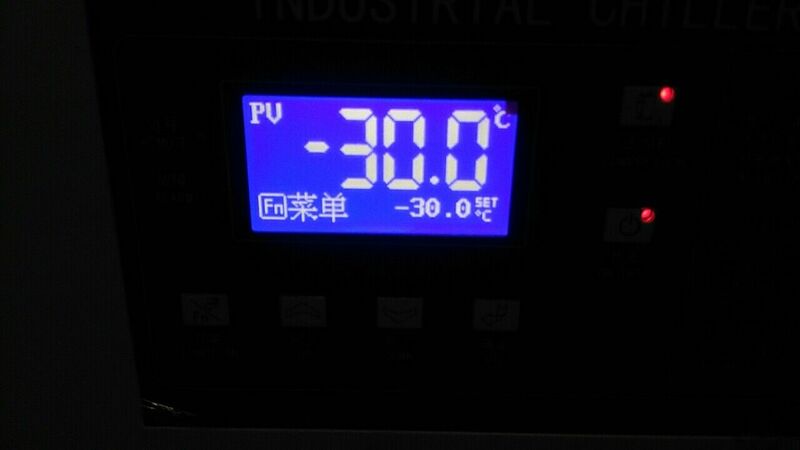 Please see below pictures ,we took during running testing ,the chilled water reached -30deg.C perfectly. 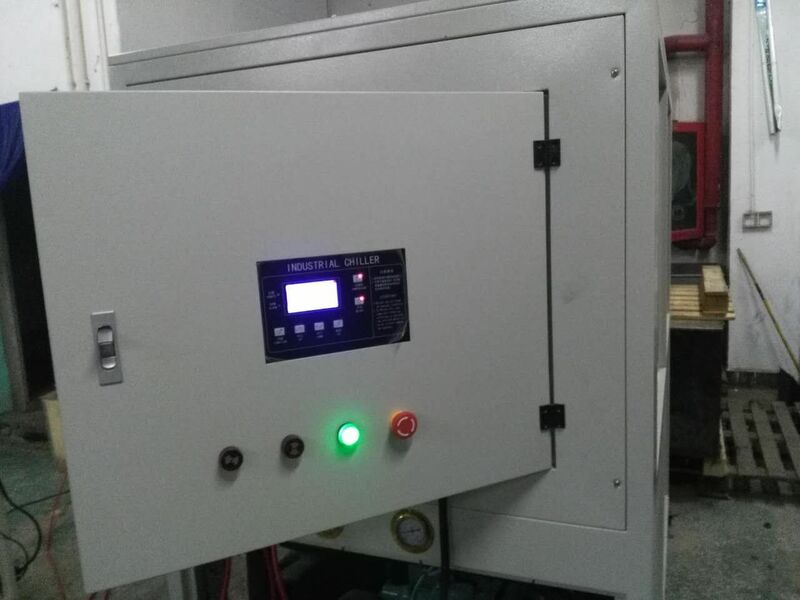 Our Philippine clients very satisfactory with our chiller ,will delivery soon.